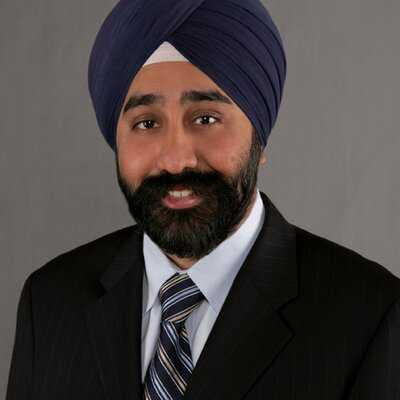 NEWYORK, May 14 ( Raj Gogna)—Ravi Bhalla, the first ever Sikh mayor of a city in New Jersey, hopes to educate the public about the Indian and South Asian community and the rights of all Americans under the Constitution. Bhalla became the 39th Mayor of the City of Hoboken after winning the election in November last year amid a “whispering campaign” that he was “unelectable”. “I didn’t run as the Sikh candidate but the candidate who happened to be a Sikh. Being in that role and just doing a good job has some implicit or side benefits that I think will educate the American public as more South Asian candidates get out there,” Bhalla told PTI here on the dichotomy of the electoral success achieved by him and the growing number of hate crimes against South Asians. Before being elected Mayor, Bhalla served eight years as member of the Hoboken City Council. He said that he was the only candidate who ran on a campaign of resisting US President Donald Trump, who had an 80 per cent disapproval rating in Hoboken. “I was the only candidate to say that look I am going to stand up, we suffered from Superstorm Sandy. I know climate change is real even though he (Trump) says it is a hoax. That kind of resonated with people,” he said. Bhalla said that since he became the Mayor of Hoboken, “all of a sudden” everybody in his town knows who a Sikh is. He added that it is also noteworthy that the state’s chief law enforcement official, the Attorney General is Gurbir Singh Grewal, who also wears a turban and a beard.